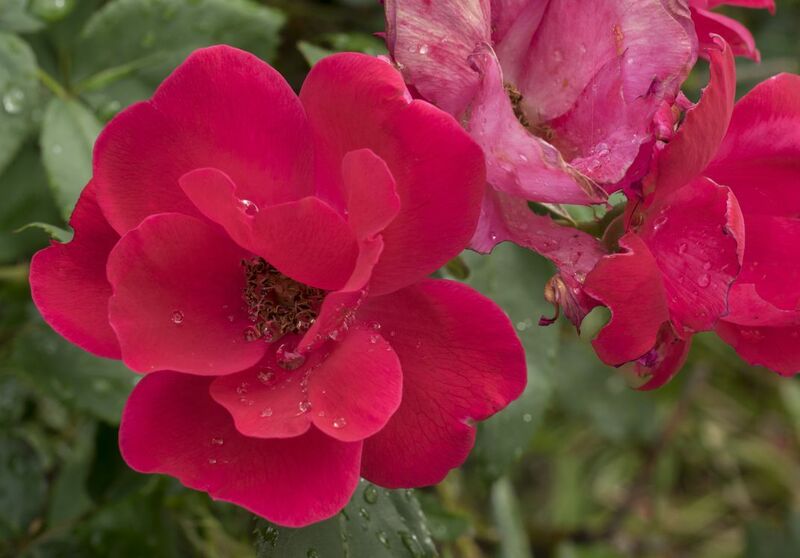 My interest was in capturing the interesting visual effect of the water drops on the leaves of the rose. While the vibrant rose was my focus, I couldn't get the shot without the withering rose in the background. Ultimately, the juxtaposition of life and death strengthened the overall image.